This affluent area, seated in the Johannesburg Municipality is widely regarded as the richest square mile in Africa – Sandton has evolved over the decades into one of the most thriving hubs of industry and commerce in South Africa. 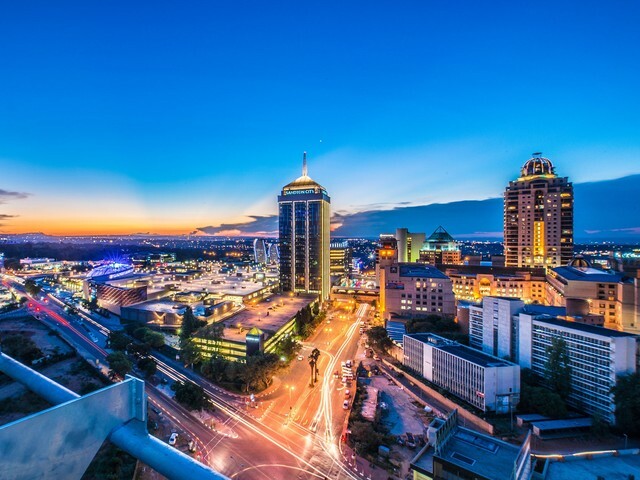 The deterioration of the Johannesburg’s central business district caused many corporate businesses to move their base of operations and offices to Sandton during the 90’s and has subsequently become the business epicentre of Johannesburg. According to recent property reports, most of the new commercial property stock that is under development in Gauteng can be found in Sandton and its surrounds as this node is one of the most sought after and prime locations for businesses. These reports further indicated that the average price of P grade office rentals was approximately - R207 \m² in Sandton, R243/m² in Rosebank and R213/m² in Illovo – significantly higher than the average asking rentals in Randburg and Midrand. Price range from R130 – R140 per m². Pocket sizes from 150m². While being one of the wealthiest residential suburbs in Sandton, Hyde Park is also a flourishing business node, with the predominant amount of commercial buildings are owned by funds and occupied by a multitude of tenants. Price range from R150 – R180 per m². Pocket sizes from 180m² . Bordering Hyde Park is the business suburb of Illovo which has become a great hub for corporate tenants as it is easily accessible by main arterial routes and other transport options. Price range from R130 – R140 per m². Pocket sizes from 200m² . Dunkeld is a popular commercial suburb of Sandton, due to its location - which borders many leading centres of business and commerce. Hyde Park, Illovo, Melrose and Rosebank all neighbour this hamlet and its proximity to roadways allows for easy travel between them. Price range from R110 – R240 per m². Pocket sizes from 150m² . Found approximately 5km north from Sandton is the cosmopolitan commercial suburb of Rosebank. Home to several high-end shopping complexes, this node has become increasingly popular among young professionals as a great meeting destination. Price range from R130 – R220 per m². Pocket sizes from 200m² . This up-market suburb is ever developing and is mostly known for the Melrose Arch, which is a mixed development which was completed in 2009 and contains 170,000 m² of offices, retail space, residential properties and hotels. The business node of Sandton, which includes Hyde Park, Illovo, Dunkeld, Rosebank and Melrose, is serviced by an expansive network of roadways which allows tenants and employees to easily navigate between these hubs of commerce as well as neighbouring areas. These arterial routes include; the De Villiers Graaf Motorway, M1, M9, M20, M30, M31 and the M85. The Sandton Gautrain Station opened its doors in 2010 and runs from Rosebank to Hatfield and also services the OR Tambo International Airport. The Gautrain and its supporting bus service make it possible for travellers and commuters to efficiently reach their destinations in a timely manner. Other convenient transportation options include the Lanseria International Airport and the OR Thambo International Airport; both located approximately 30km from Sandton. This well-maintained business centre is situated a mere 5km from Sandton city centre and boasts round the clock security, access controlled gates and provides tenants with easy access to Johannesburg. This flourishing office park comprises several buildings containing exclusive offices with ample parking. Situated in Hyde Park, conveniently across the way from a shopping complex this modern business premises is 24-hour security regulated and is within walking distance from William Nicol Drive and Jan Smuts Avenue. Recognised as one of the most sought-after office parks in Sandton, this premiere office complex is located on the Boulevard Mile which is one of the most popular business destinations in this node. Designed with the environment in mind, Illovo Edge was built with green materials and incorporates energy efficiency. This new prestigious development is situated next to Sandton City – providing tenants with easy access to many commuting options and convenient, world-class amenities. Alice Lane promises to increase the brand awareness of its tenants and will comprise 70 000 m². Found in the heart of the ever expanding hub of Rosebank, this exciting development is positioned opposite the FIRS and the exclusive Hyatt Hotel – making this redevelopment the ideal accommodation for both international and local head offices. Consisting of 23 000 m² of premium commercial space – the Rosebank Towers will boast excellent security and elegant communal spaces. The vibrant precinct of Melrose Arch is a truly bespoke destination, where retail, professional and social activities and facilities can be found. As the home of some of South Africa’s leading corporate companies’ head offices – Melrose Arch boasts many A Grade office space which contributes to its status as the ultimate commercial address. This is the perfect place to meet with clients, spend your lunch shopping or simply get some after-work grocery shopping done. As one of the country’s leading shopping centres, Sandton City offers visitors a retail experience that is unparalleled - hand picking some of the most desired brands and other popular tenants Sandton City boasts more than 300 stores ranging from food, leisure and fashion. Located in the coveted Sandton Management District – this complex is in close proximity to the Gautrain and is within a close distance from many highways and other roadways. 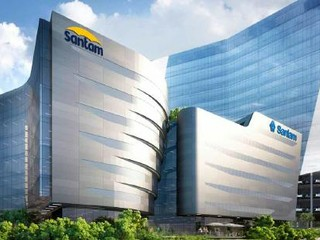 Officebook has a wide range of prime office space and commercial properties in the elite business node of Sandton. Our specialised team of property professionals provides landlords, tenants, investors and buyers with a host of real estate services that allows our clients to find, sell and rent their perfect accommodation. Call us today to find a prime office space in Sandton.